Apologetics Press - If fossils were formed a few thousand years ago, why are they still here? Thanks for writing. I’m glad that you are a Discovery reader. The reason fossils can last for a few thousand years is because many of them are made out of stone. A fossil is any trace left by something that lived in the past. Animals, plants, and humans have left many fossils. In order for something to become a fossil, it must be buried very quickly. Once it is buried, water begins to seep through the dead plant or animal. That water often contains minerals, such as silica, that start to replace the cells and fibers of the animal or plant. After a while, the minerals have replaced all the cells, and you have a stone, made up of minerals, in the shape of the animal skin or bones. 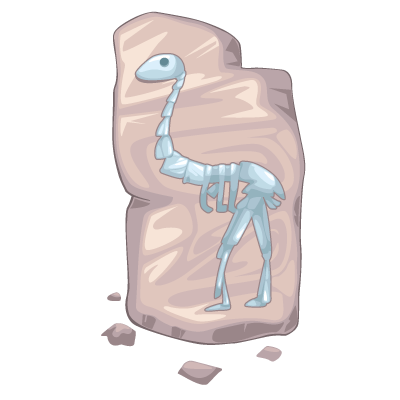 These stone fossils can last several thousand years. We do know, however, that the fossils are not millions of years old. I hope that answers your question.